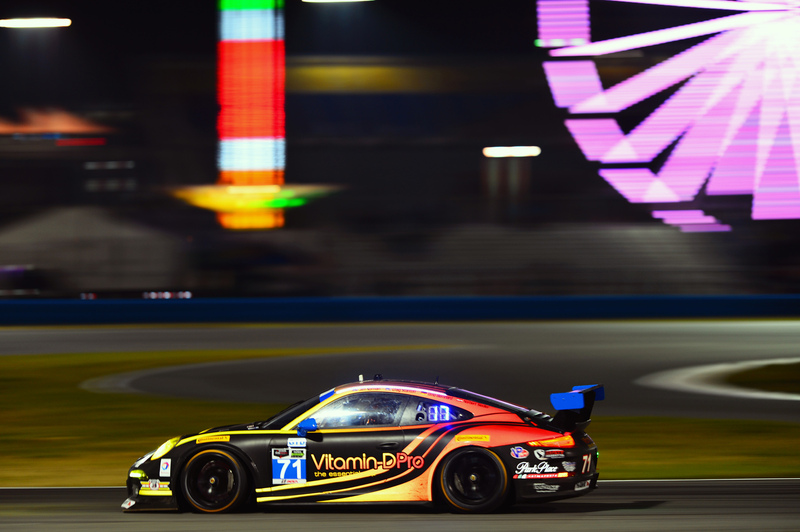 With big expectations Norbert Siedler had traveled to his first 24-hour-race of the year in Daytona Beach (Florida/USA). After a good first part of the race he and his team-mates suffered from two broken radiators during the night. With more than three hours spent in the pit lane to repair the car, a 23rd place was the maximum. 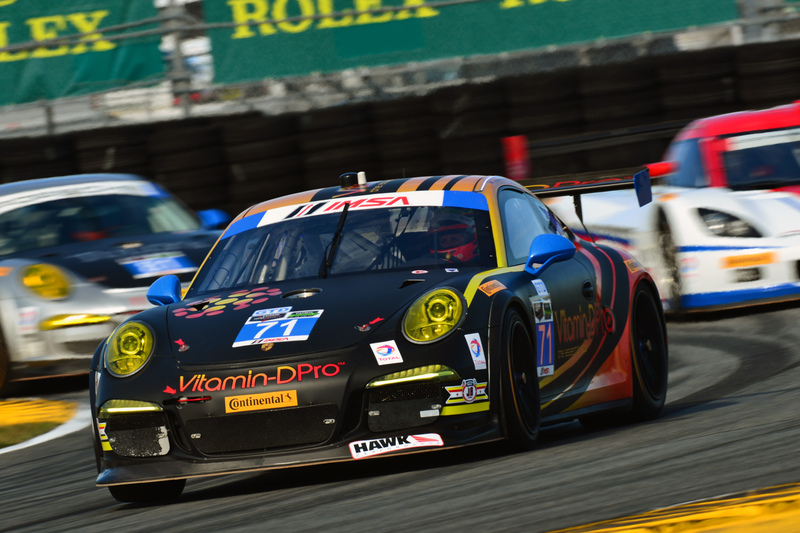 In the qualifying on Thursday the Austrian stood out as the fastest Porsche-driver. After the qualifying also the hopes for the race faded a little bit. “The other manufacturers acted quite clever before the event and did not show their full potential. Therefore the Porsche-drivers had a small disadvantage after the Balance of Performance was done,” Norbert Siedler knew the reasons. “But we cannot change that anymore. The 24-hour-race is long, we must not make any mistakes and will try our very best!” The first hours of the race went well for the black and red #71 Porsche 911. 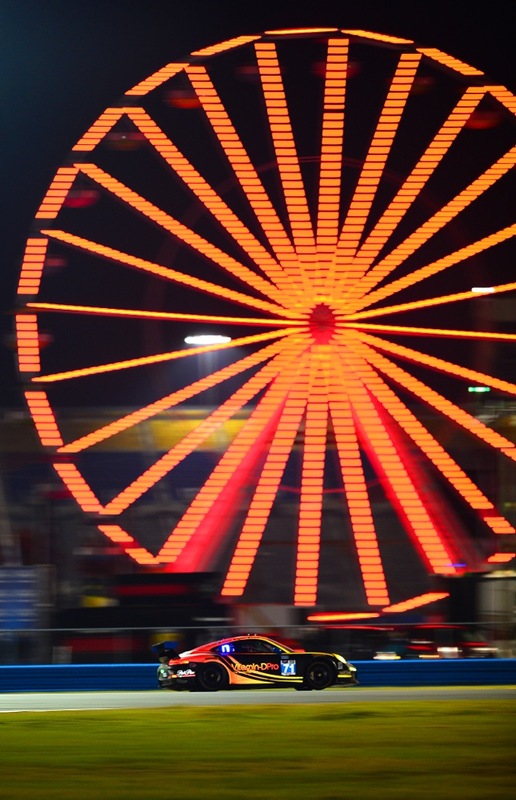 Siedler, who was the nominated start driver, Porsche factory driver Timo Bernhard and Craig Stanton were able to keep the car constantly in the top-10. But the setbacks came during the night: Norbert Siedler and his team-mates became regular visitors in the pit lane. Timo Bernhard and Jim Norman came to the garage because of a broken radiator twice. “A stone or debris hit the radiator. To make matters worse also the front bumper had to be changed more than once. In consequence we lost more than three hours in the pit lane,” the race driver from the Wildschönau (Austria) explained. “I did not have any problems during my stints but my team-mates were not that lucky. In the last hours of the race our car was harshly damaged. We lost 1.5 seconds per lap.” But after the problems during the night the fight for the overall win was not possible anymore anyway. In the final part of the race Norbert Siedler had an exciting battle with Hollywood-star Patrick Dempsey. 60 minutes before the end of the race Dempsey took place behind the wheel of the car directly in front of Siedler. The man from Tirol (Austria) was able to shorten the one-minute-advance of the famous actor from “Grey’s Anatomy” quickly. Five minutes before the end he overtook Dempsey. “Of course Patrick is a semi-professional race driver, therefore this battle should not be overrated,” reported the Porsche-driver. “But it was a nice end after the disappointments from the night.” With this final maneuver he secured the 23rd position for himself and Park Place Motorsports.